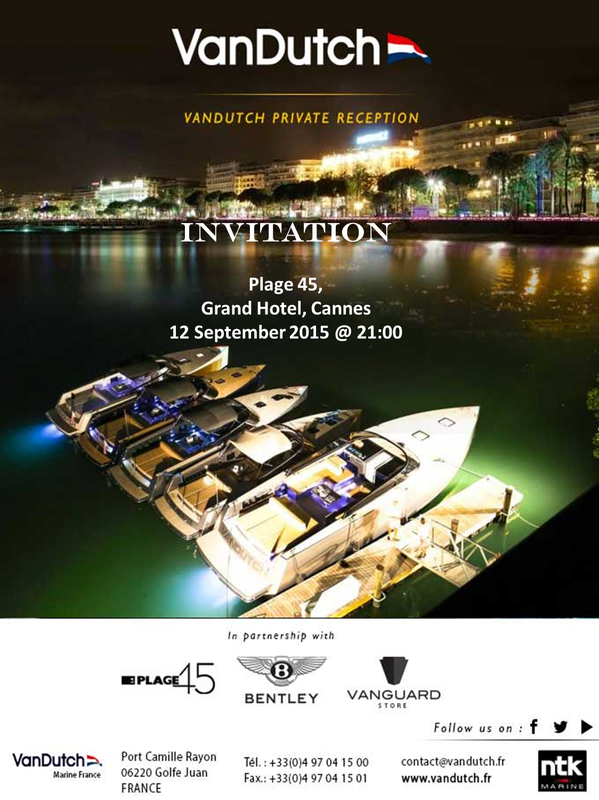 VanDutch organizes its private beach party at ‘Plage 45’ of the Grand Hotel in Cannes. This will take place on September 12, 2015 from 20:30 on the offshoots of Yachting Cannes Festival. 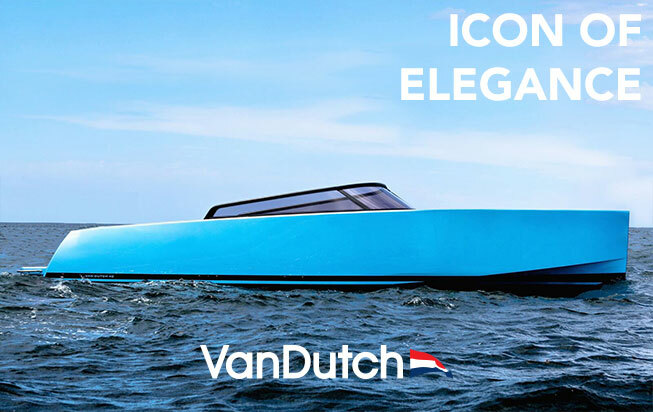 VanDutch yachts have created a revolution and innovated in the construction of boats. Today, the VanDutch range has expanded to include the day-boat VanDutch 30, to the domineering and impressive VanDutch 75, which can be found on our website. You will also find pre-owned yachts of all sizes based across the globe, and opportunities to try out the yachts for yourself as charters, in some of the most beautiful places in the world. This selected evening at the Cannes Yachting Festival 2015 we find all our guests and renowned partners. We would like to take this opportunity to introduce our partners for this event. They are ‘Plage 45’ – extend those moments in unforgettable evenings and enjoy a moment of freshness on the private beach of the Grand Hotel in Cannes; ‘Bentley’ – a guarantee of a very personal journey, the gateway to a high performance, luxury, relaxing and exhilarating and lastly ‘Vanguard Store’ – they offer a premium service in products and luxury toys around the sports sector and the yachting industry. Though this party sounds is like every year, this year we hope to create more fun and dancing environment with live music. We have selected the best DJ’s for your entertainment. Our host will be at your entertainment service throughout the show. Do join us for cocktails and food buffet. Throughout the duration of the fair we plan to exhibit a VanDutch 30 Yacht in the garden of the Grand Hotel in Cannes. VanDutch 30 resumes the style of his older starting with its straight stem, its very bridge straight lines and then his character both minimalist and modern. Of Dutch origin, the construction again uses a sandwich construction and infusion resin with reinforcements Kevlar providing a very rigid shell. The boat, which measures 9 meters has a huge stern platform with direct access to the sunbathing planned for 3 people and the cockpit with ample seating. We welcome you all to the VanDutch beach party, just as VanDutch believes “Arrive in Style, Leave an Impression!”.